Bleu de Paname Denim Civil Pant Mastic | END. Imperial Pre-Shave Oil protects your skin from redness, razor burn and flare-ups with a proprietary blend of essential oils, including the blade-glide enhancing Macadamia Glycerides to the moisturizing antioxidant Squalene Oil, and Vitamin E antioxidant. 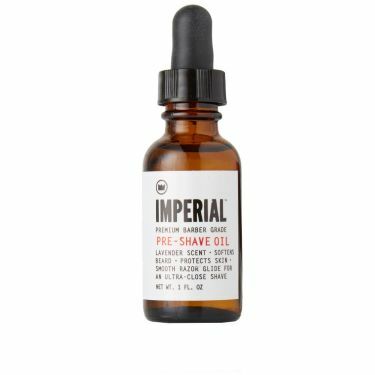 This dual-natured product offers enough protection that it can be used on its own or to prep long beard hair and stubble, so you can use Pre-Shave Oil before traditional shave cream or on its own.